While kids can make endless excuses for not eating right, restricting or fixating on food can point to dangerous eating disorders in teens and children. Since February is National Eating Disorder Awareness Month, Jenny Combs, MSW, LCSW, a behavioral health expert at Mission Pediatrics – McDowell, takes a closer look. “You don’t have to be extremely thin to have an eating disorder,” said Combs. She suggests tracking your child’s growth history rather than comparing to national averages. Anorexic children are afraid to gain weight and don’t see their body as it really is. Restricting food can cause weight loss or failure to gain weight. 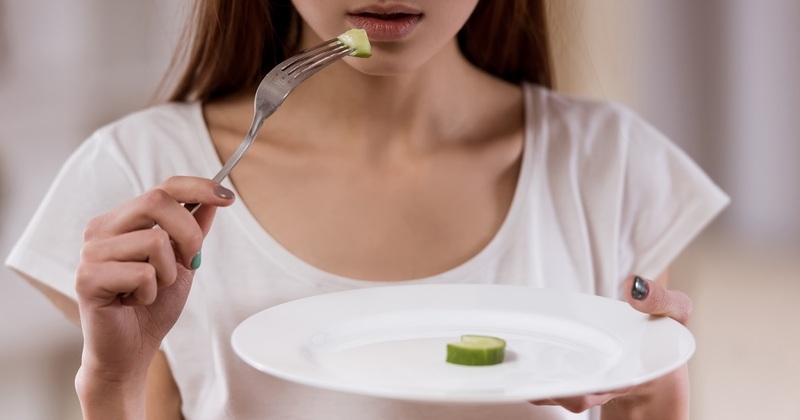 Signs of anorexia include eating in secret, missing family meals, depression, anxiety, monitoring every bite and excessive exercise. Anorexia can lead to organ damage and even death. Teens with bulimia feel powerless to stop eating while binging. Later forced vomiting, use of laxatives or diuretics, or excessive exercise prevents weight gain. These teens may be leaving the house or going to a secluded bathroom within an hour of eating to purge. Long-term effects are damage to teeth and esophagus, and psychological issues. Teens with this disorder consume larger amounts of food than normal in a short amount of time but do not purge. Their weight can fluctuate with their binging pattern. Teens feel embarrassed or ashamed about their eating and may eat in secret. Children with this disorder have fears about foods and set specific rules about foods deemed “safe.” They become pickier about food choices over time. Jenny Combs, MSW, LCSW, is a behavioral health expert at Mission Pediatrics – McDowell. If you would like to have your child seen by a pediatric behavioral health specialist, call Mission Pediatrics – McDowell at 828-652-6386 or visit missionchildrens.org .